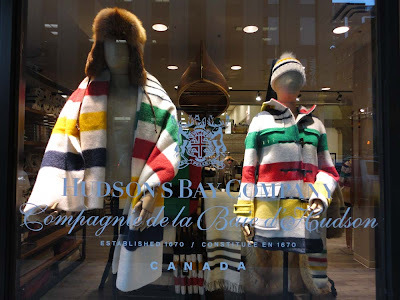 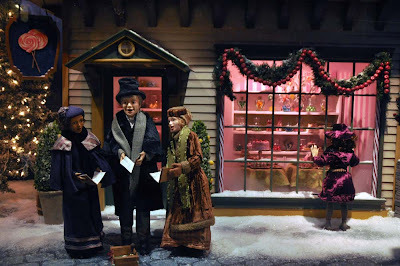 Like a familiar Christmas movie the Hudson Bay Christmas Windows light up the night along Queen Street West in #Toronto. 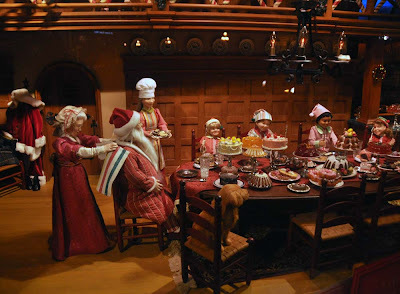 Beginning in early November the North Pole life of Santa Claus plays out in a series of windows that take us through toy production, loading the sleigh and then having dinner with the jolly man in red before he begins his great journey around the world. 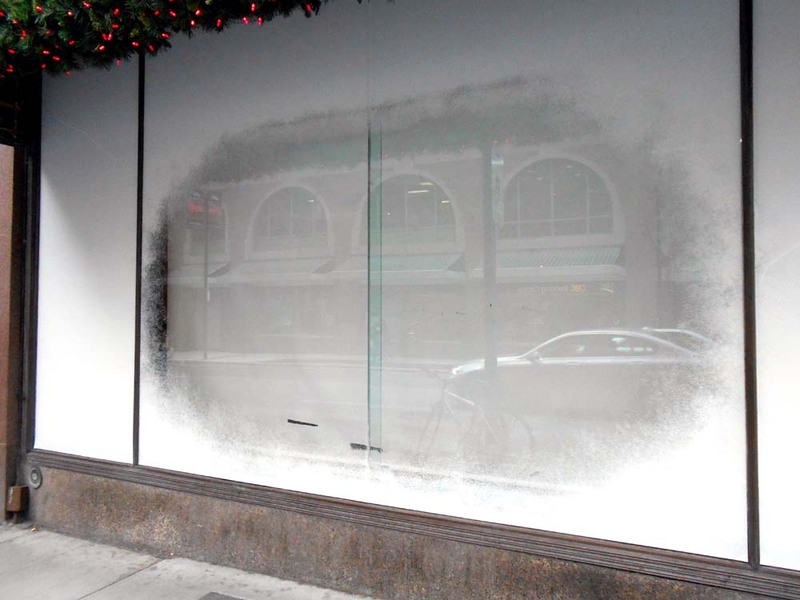 The magical windows began when the store was known as Simpsons many years ago. 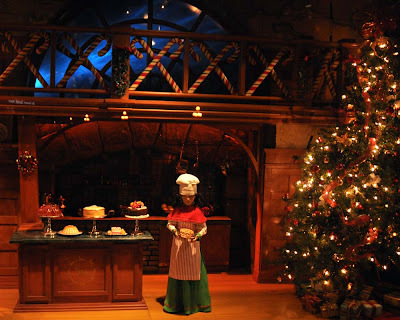 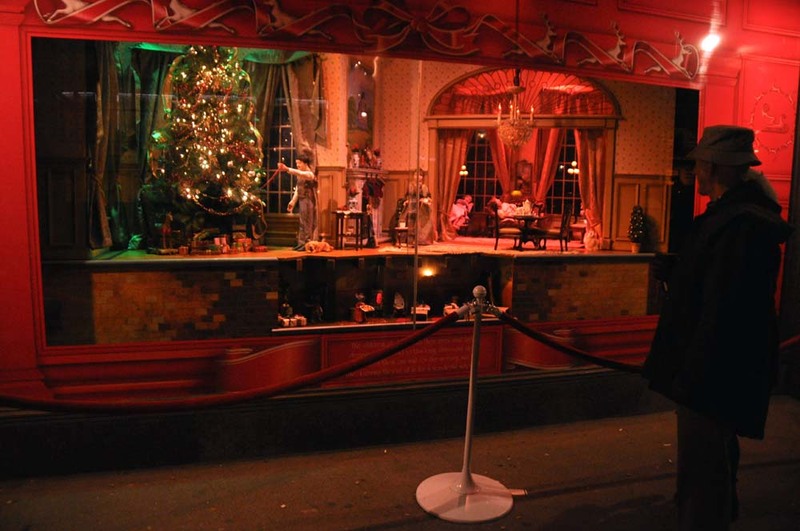 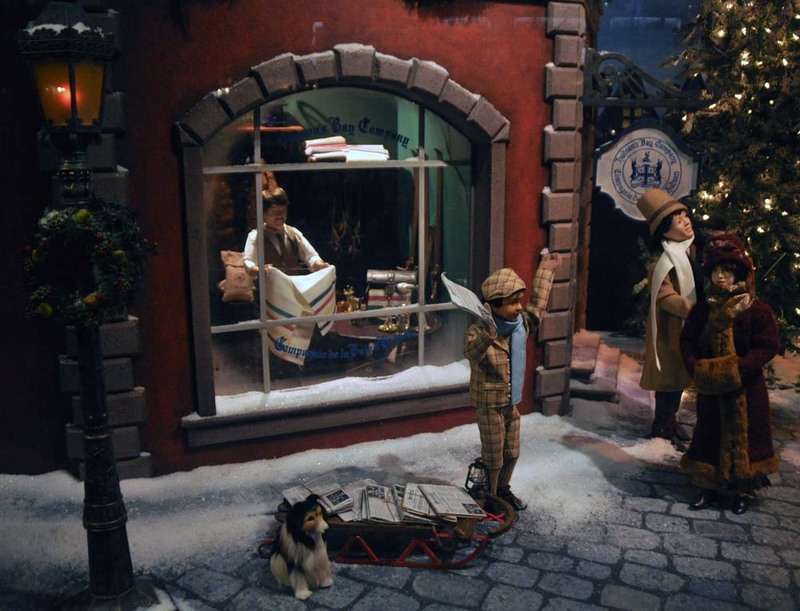 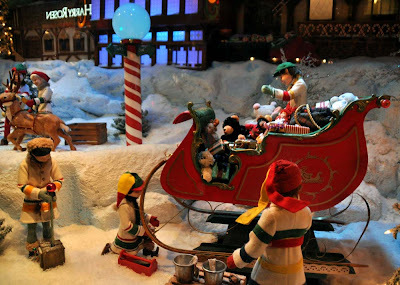 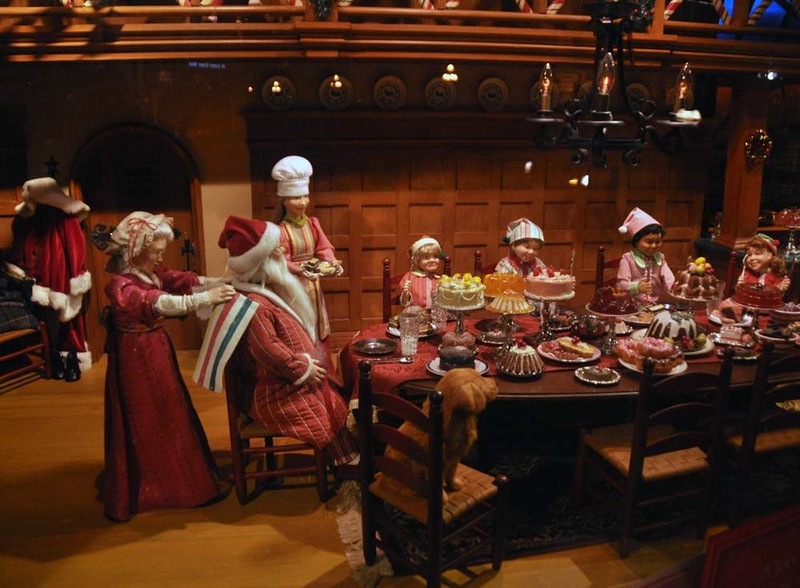 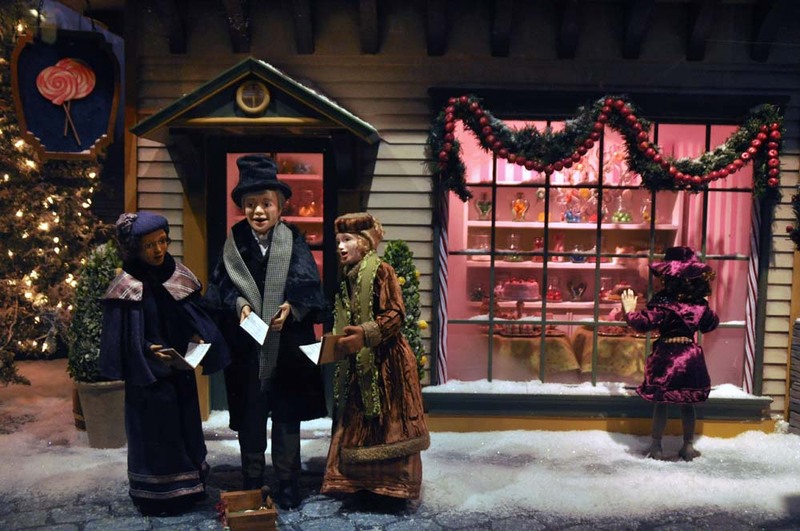 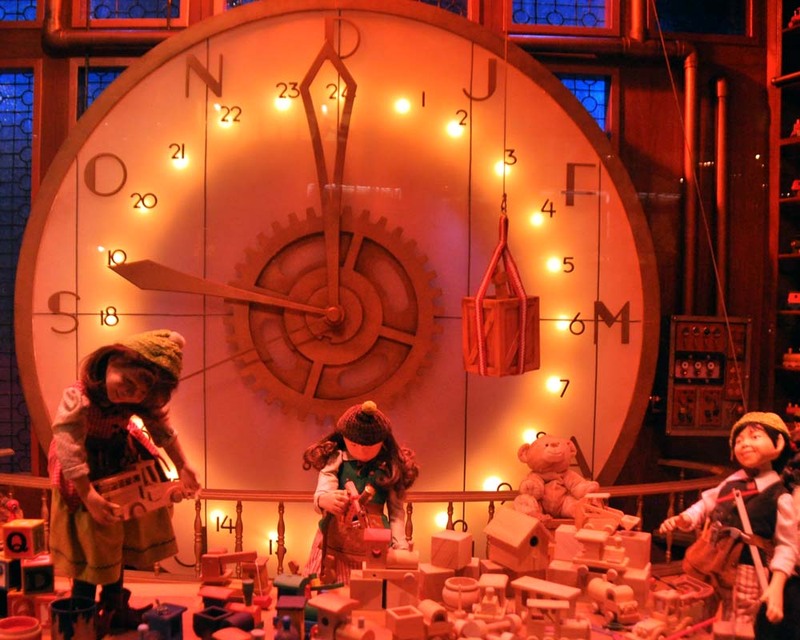 Some of the animated displays feature quaint holiday scenes from a small town in olden days. 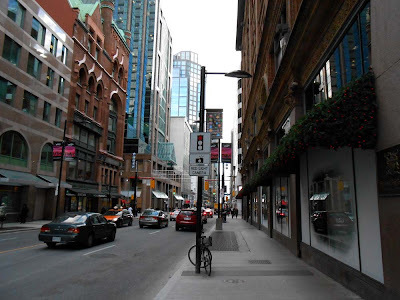 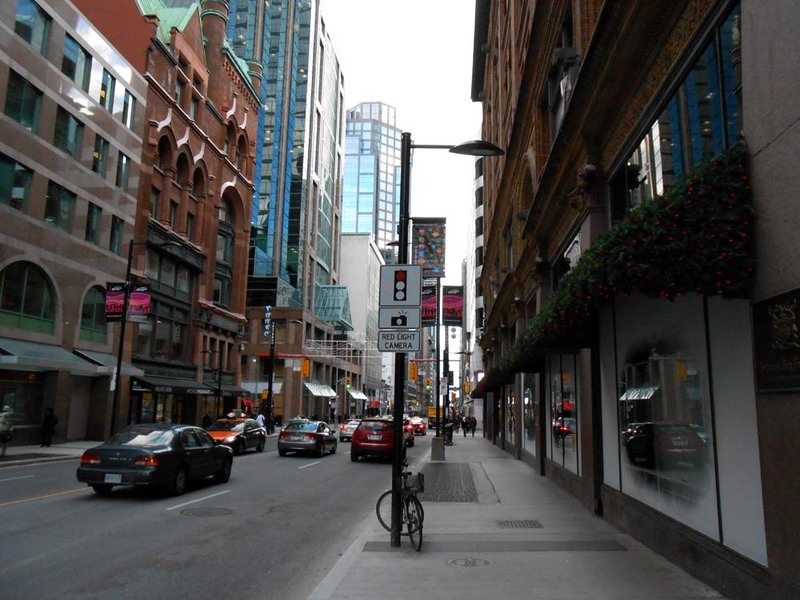 The Queen Street West windows are known as "Toyland" and can be found just west of Yonge Street. 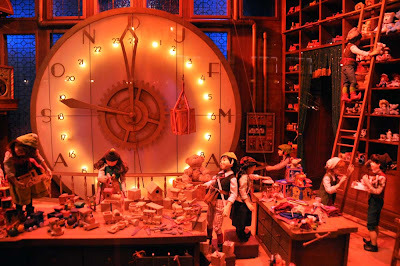 More holiday windows are after the jump. Meanwhile back on Yonge Street the windows are a festive diorama of the Abominable Snowman in a snowstorm just outside Santa's workshop.